Socialism in the Modern World, Part V: With 162+ Choices, How Many Nations Qualify? Over the past four days, I’ve looked at the supposed socialism of Venezuela, the Nordic nations, Greece, and France. And I chose those nations deliberately because I used them as examples in this clip from a recent interview. 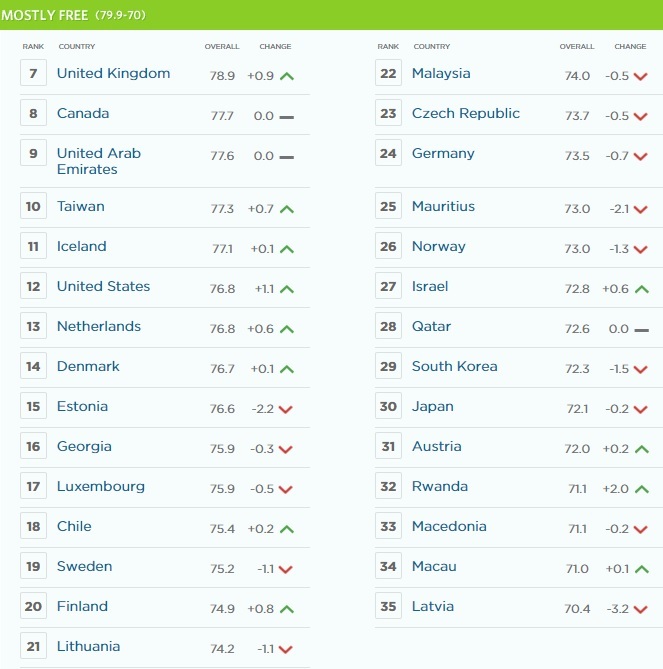 All of them are sometimes labeled as socialist countries, but if you look at the rankings from Economic Freedom of the World, you notice that this analysis doesn’t make much sense. For example, the Nordic nations have a lot of economic liberty and are only slightly behind to the United States, which is why I explained last year that if those nations are socialist, then so is America. And there is a big gap between the Nordic nations and France. And then another big gap before getting to Greece, and also a big gap before reaching Venezuela at the bottom. Should all of those nations get the same label? So where do we draw the line to separate socialist nations from non-socialist nations? I confess that I don’t have an answer because (as I’ve noted many times) we don’t have a good definition of socialism. If socialism is central planning, government-determined prices, and government ownership of the means of production, then the only nations that really qualify are probably Cuba and North Korea. And they aren’t even part of the rankings because of inadequate economic data. But if having a welfare state is socialism, then every jurisdiction other than Hong Kong and Singapore presumably qualifies. Given this imprecision, I’m very curious to see where people think the line should be drawn. P.S. This is why I usually just refer to statism or statists. America’s Most Libertarian State Is…? And let’s heap unending scorn on Rhode Island for having the nation’s worst track record on this issue. 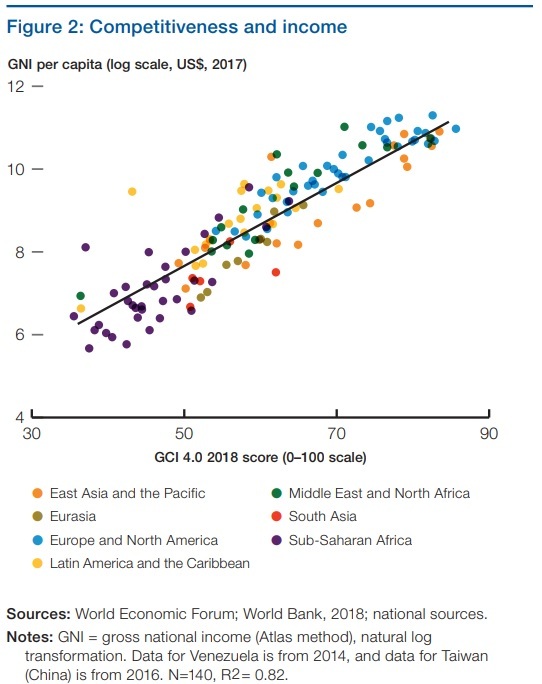 There are several options if you want to measure economic freedom and competitiveness among nations (rankings from the Fraser Institute, Heritage Foundation, and World Economic Forum). 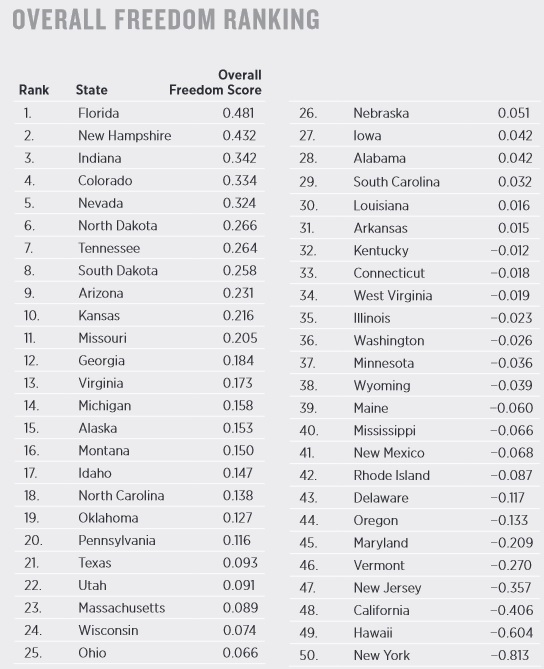 You also have many choices if you want to measure economic freedom and competitiveness among states (rankings from the Tax Foundation, Mercatus Center, and Fraser Institute). But there’s never been a good source if you want to know which local jurisdiction is best. Dean Stansel of Southern Methodist University is helping to fill this gap with a report looking at the relative quality of government policy in various metropolitan statistical areas (MSAs encompass not just a city, but also economically relevant suburbs). …the level of economic freedom can vary across subnational jurisdictions within the same country (e.g., Texas and Florida have less-burdensome economic policies and therefore much greater economic freedom than New York and California). However, levels of economic freedom can also vary within those subnational jurisdictions. 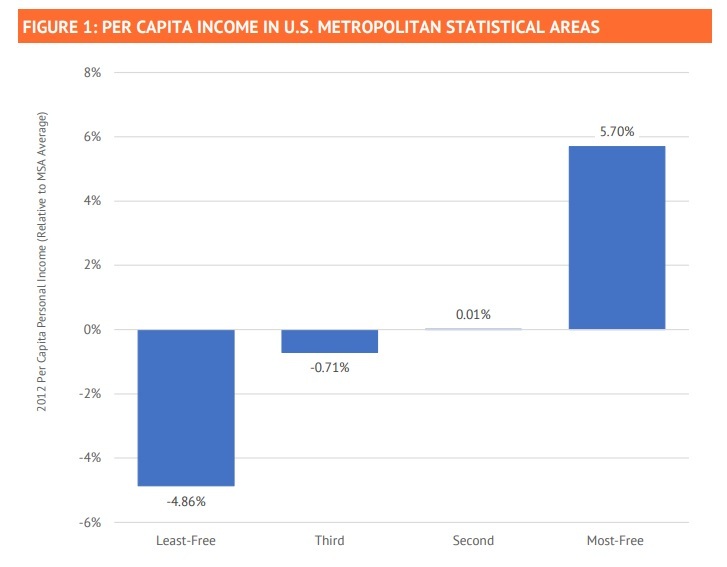 For example, the San Jose metro area has substantially higher economic freedom than Los Angeles. The same is true for Nashville compared to Memphis. In some places, metropolitan areas straddle state borders, skewing state-level economic data. 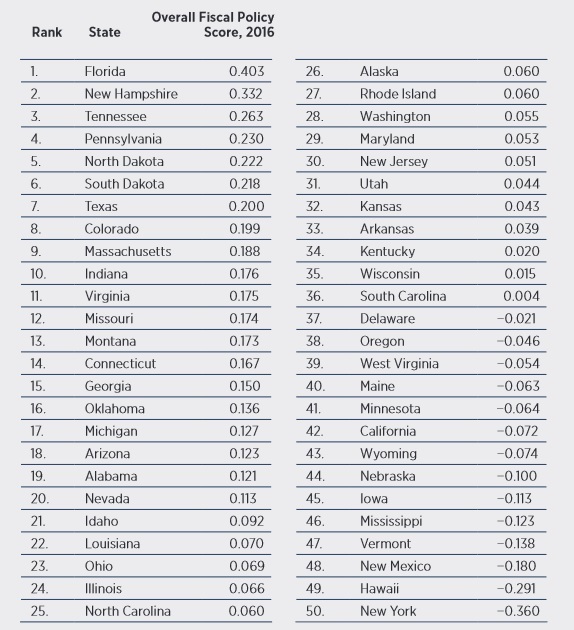 This report quantifies those intra-state disparities by providing a local-level version of the EFNA, ranking 382 metropolitan areas by their economic freedom levels. So who wins this contest? Here are the five most-free MSAs. 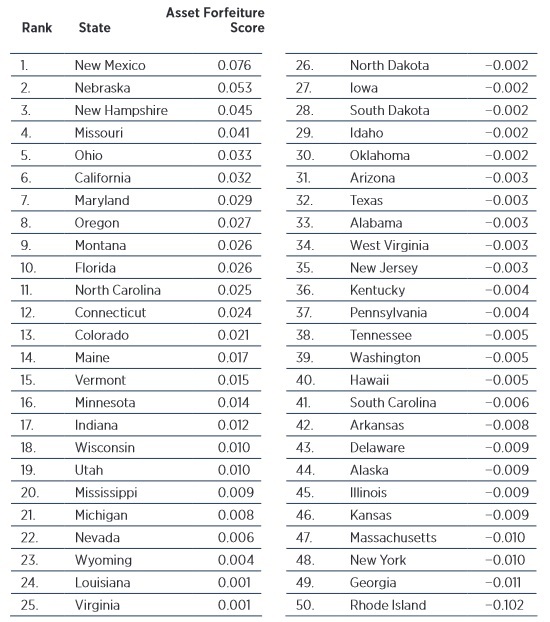 It’s worth noting that all of them are in states with no income tax, which shows that good state policy helps. What if we limit ourselves to large cities? 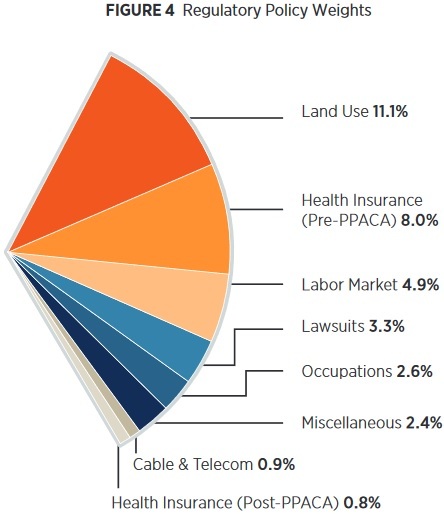 Here are the five most-free MSAs with population over 1 million. 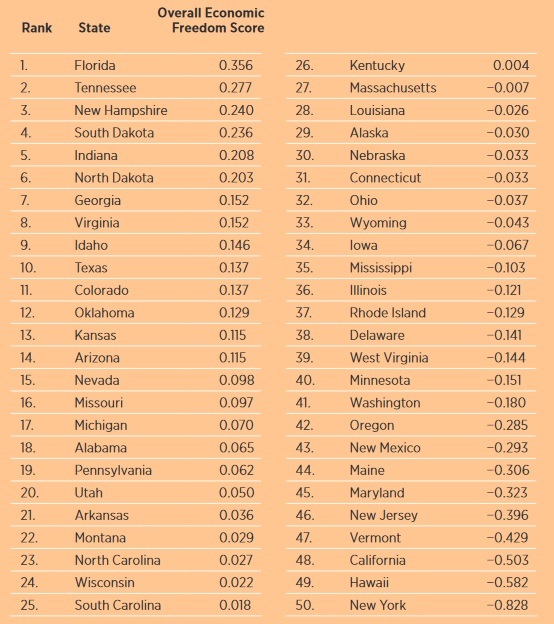 As you can see, Houston is in first place and zero-income-tax Texas and Florida are well represented. Now let’s shift to the localities on the bottom of the rankings. 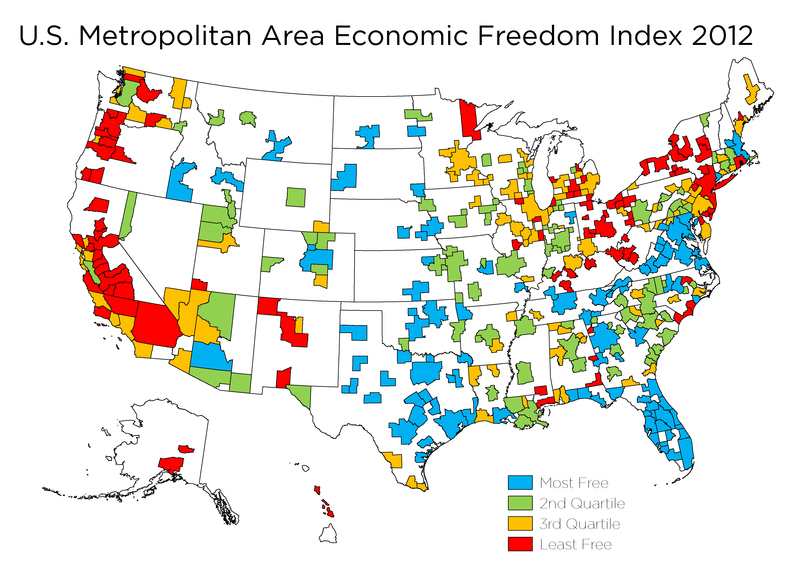 Which MSA is the worst place for economic freedom in America? Congratulations to El Centro in California for winning this booby prize. As you can see, jurisdictions in New York and California dominate. What if we look are larger jurisdictions, those with over 1 million people? In this case, Riverside-San Bernardino-Ontario is the worst place to live. Though if you want to focus on big cities, the NYC metro area deserves special mention. Now let’s consider why economic freedom matters. 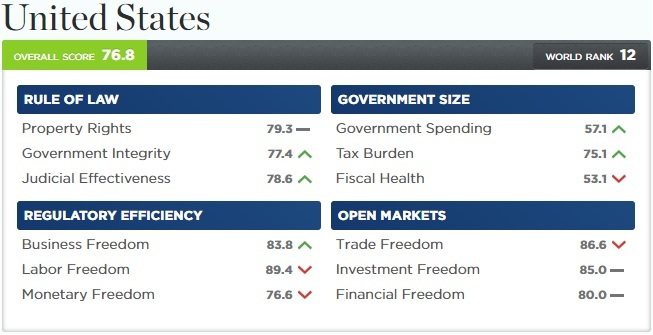 I’ve shared charts showing how more economic freedom leads to more prosperity in nations. The same thing is true for states. So you shouldn’t be surprised to discover that it also is true for metro areas. Last but not least, here’s a map showing freedom in all MSAs. I’m not surprised to see so much red in California and New York, but I didn’t realize that Ohio (thanks for nothing, Kasich), Oregon, and West Virginia were so bad. And the good results for Texas and Florida are predictable, but I didn’t think Virginia would look so good. 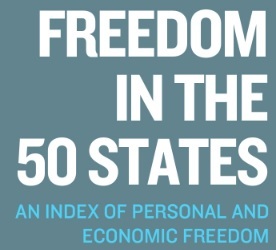 My favorite annual publication from the Heritage Foundation, the Index of Economic Freedom, has just been released. Like the Fraser Institute’s Economic Freedom of the World and, to a lesser extent, the World Economic Forum’s Global Competitiveness Report, the Heritage Foundation survey is filled with interesting data on economic liberty in various nations. We’ll start by sharing the global map. It’s good to be green, especially dark green. But it’s bad to be orange and even worse to be red. Sadly, there are only six “free” jurisdictions. Unsurprisingly, Hong Kong and Singapore are at the top, and I’m also not surprised to see New Zealand and Switzerland in the next two positions. What’s especially impressive is that four of the six jurisdictions managed to increase their score. Now let’s look at the “mostly free” nations. 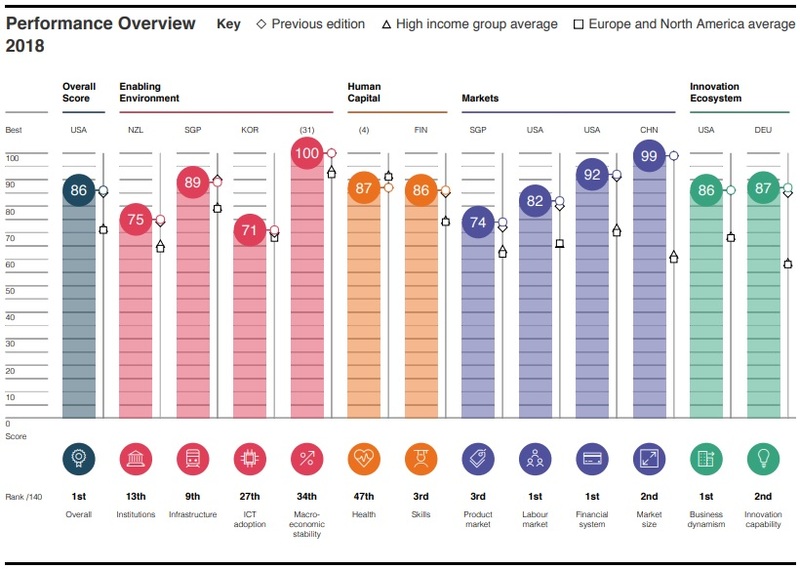 Note how the Nordic nations all get reasonably good scores. As I’ve repeatedly explained, they have onerous welfare states, but they largely compensate by being very pro-free market in other policy areas (one interesting quirk is that Iceland ranks #11 in the Heritage Index but only #59 in the Fraser rankings). The United States, for what it’s worth, improved its score but still doesn’t crack the top 10. Since a majority of readers are from the United States, let dig into the details. Here’s a breakdown of America’s score. I am befuddled at how the U.S. improved on government spending, but all the other variables make sense. Pay special attention to the decline in trade freedom. Now let’s look at a few other countries that merit special attention. Here’s data for the past 15 years on Iceland, Taiwan, and Chile. I include Iceland merely because I’m intrigued by the wide divergence in how the country is ranked by Heritage and Fraser. And I include Chile because I’m worried about the decline in recent years. Taiwan, meanwhile, deserves mention because it continues to slowly but surely improve – a process that hopefully won’t stop, thus allowing Taiwan to eventually converge with Hong Kong and Singapore. Now let’s shift to the Baltic nations. I’ve been a big fan of Estonia, Latvia, and Lithuania, but I’ve been worried about a recent drift in the wrong direction. And that’s apparent in the Heritage data. This worries me since those countries should be further liberalizing and reforming to help counteract grim demographic trends. Let’s close our discussion by looking at the unfortunate nations in the bottom category. If you guessed the North Korea was the most repressed of the “repressed” nations, congratulations. It’s not just that it’s in last place, it wins that dubious distinction by a wide margin. Though at least the North Koreans are trending in the right direction, albeit with an almost-too-small-to-measure improvement of just 0.1. Cuba is #178 out of #180, yet still managed to go from absolutely awful to breathtakingly terrible with a -4.1 change in its score. Speaking of awful and terrible, Venezuela is next to last. It remains even below Cuba, notwithstanding a small increase of 0.7. P.S. I’m saddened, but not surprised, that there was a big drop in the score for South Africa. The only good news is that it still is nowhere close to being another Zimbabwe. At least not yet. 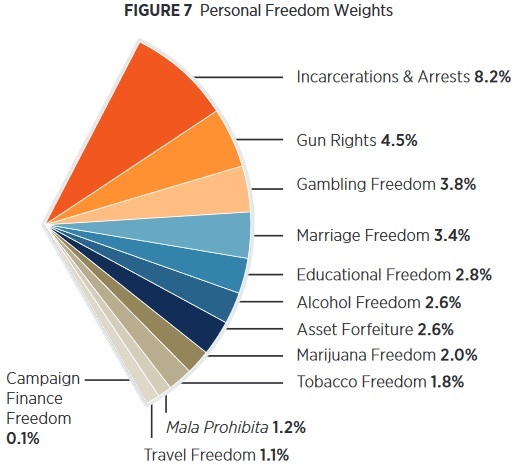 My favorite publication every year is Economic Freedom of the World. 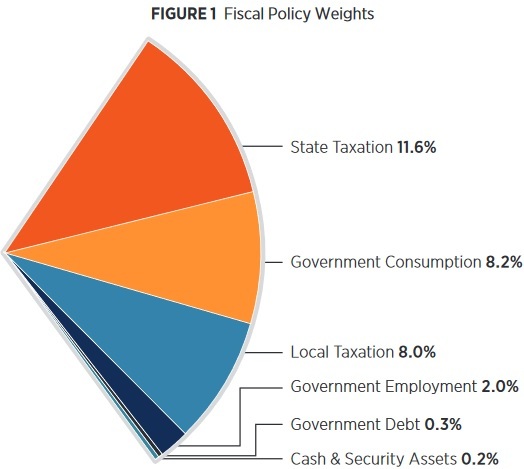 It’s filled with data on fiscal policy, regulatory policy, trade policy, monetary policy, and quality of governance for 162 jurisdictions, and it provides an unbiased way of gauging the degree to which they allow economic liberty. It also allows readers to slice and dice data, which is very helpful for doing analysis. 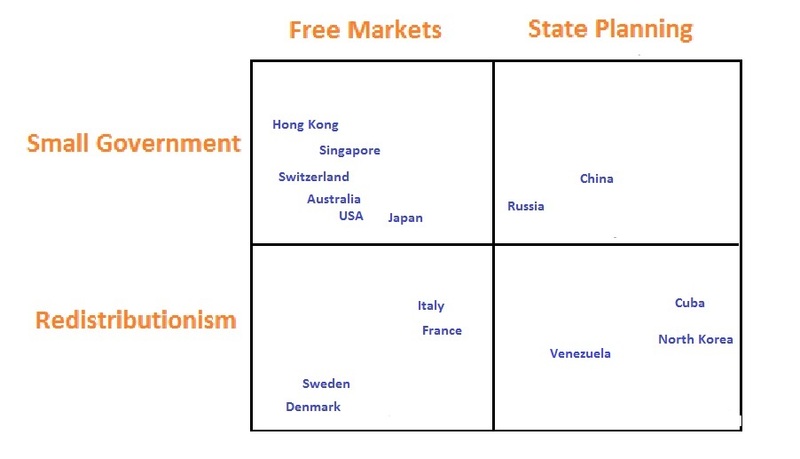 For instance, as illustrated by this 2×2 matrix, I claimed in 2016 that nations with small fiscal burdens aren’t necessarily pro-free market (meaning they would belong in the top-right quadrant) and countries with large fiscal burdens aren’t necessarily in favor of intervention and planning (so they would belong in the lower-left quadrant). But that matrix was speculative. Which is why I downloaded the EFW dataset. I then removed the fiscal policy variable and created new rankings so I could see which nations relied most on unfettered markets. 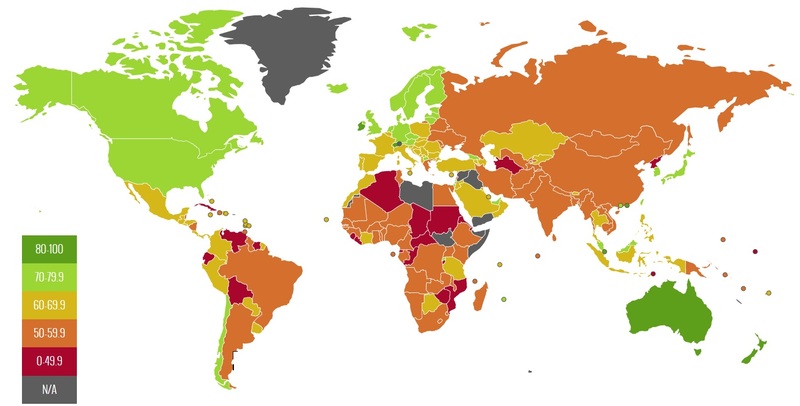 As you can see, Singapore barely edges out Hong Kong for first place in this “Laissez-Faire Index,” with New Zealand in third place. In other words, the top three nations in the overall EFW rankings stay the same, though Hong Kong and Singapore trade places (in the far-right column, I compare each nation’s rank to its EFW score for overall economic liberty). The most dramatic results are for some of the welfare states in Northern and Western Europe. Denmark jumps 12 spots to #4 and the Netherlands soars 18 spots to #5. Other nations with big increases include Finland (up 14 spots to #8), Luxembourg (the world’s freest economy as recently as 1985, moves up 14 spots to #11), Sweden (up 30 spots to #13), Norway (up 11 spots to #14), and Belgium (up 32 spots to #20). Looking at this list, it’s easy to understand why the combination of big government and free markets is sometimes called the “Nordic Model” (defined by Wikipedia as “a comprehensive welfare state…on the economic foundations of free market capitalism”). 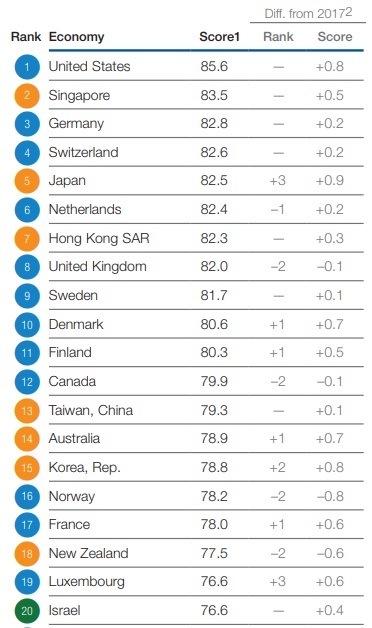 And Japan could be considered an honorary member since it jumps 22 spots in the Laissez-Faire Index, up to #19. I’ve argued that such nations compensate for the damage of high taxes and big welfare states by being very market-oriented in other ways. And the EFW data supports that assertion. Though it’s worth noting that their large fiscal burdens do have a negative impact. P.S. Looking at other nations in the Laissez-Faire Index, Switzerland, the United Kingdom, Ireland and Canada all remain in the top 10, though the United States falls six spots to #12. Georgia, Mauritius, Taiwan, and Lithuania all drop by double-digit amounts. P.P.S. I did a version of the Laissez-Faire Index in 2015. California is like France. Both are wonderful places to visit. They’re also great places to live if you’re part of the elite. But neither is the ideal option for ordinary people who want upward mobility. Back in 2016, I shared Census Bureau data showing that income was growing much faster for people in Texas, especially if you focus on median income (and this data doesn’t even adjust for the cost of living). So why is Texas growing faster? Unsurprisingly, I think part of the answer is that the burden of government is significantly greater in California. 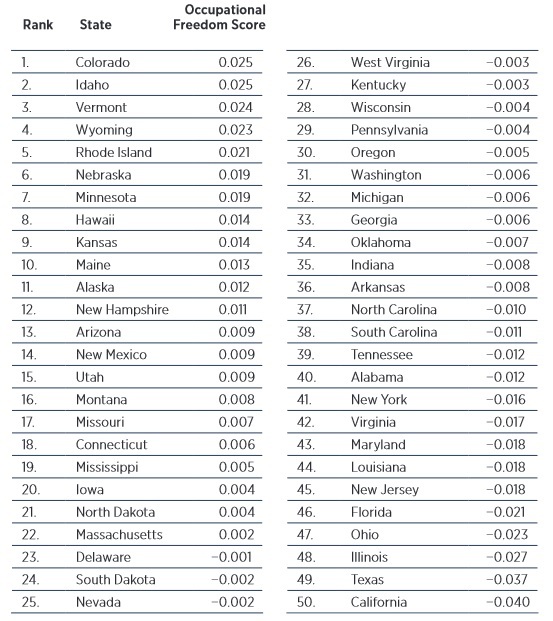 Take a look at this table from the most recent edition of Freedom in the 50 States. 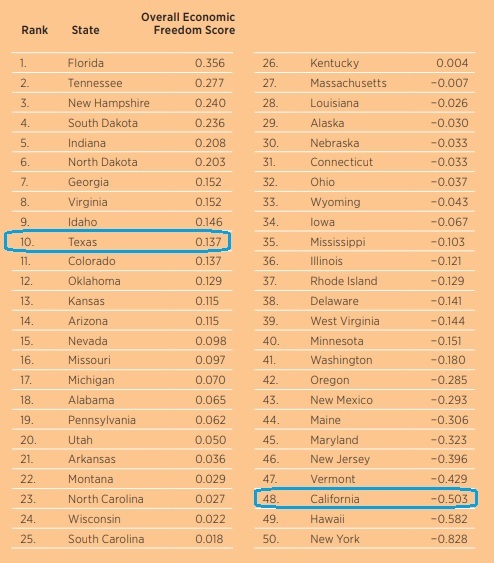 Texas is not the freest state, but its #10 ranking is much better than California’s lowly #48 position. 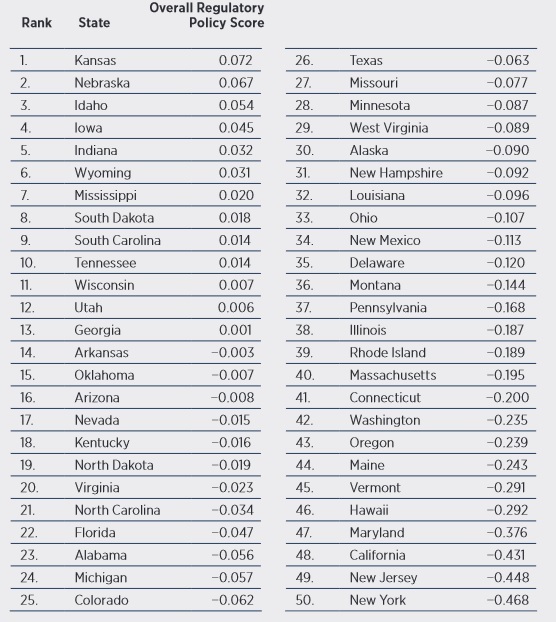 If you’re wondering why Illinois isn’t at or near the bottom, keep in mind that this is a measure of overall economic freedom, not just fiscal policy. In other words, California doesn’t just have onerous taxes and an excessive burden of government, it also has lots of red tape and intervention. These numbers presumably help explain why Babylon Bee came up with this clever satire. This is the flip side of Walter Williams’ joke about California building a wall to keep taxpayers imprisoned. But let’s return to serious analysis. Writing for Forbes, Chuck DeVore highlights some differences between his home state and his new state. 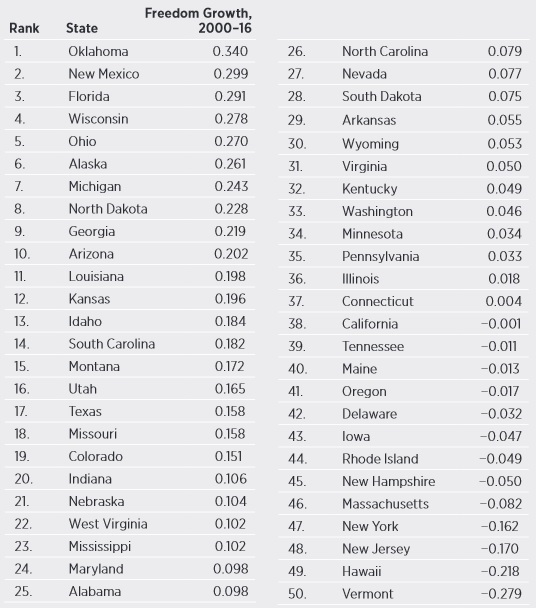 Over the past decade, the top states by GDP growth are: North Dakota, Texas, Nebraska, Washington, and Oregon. 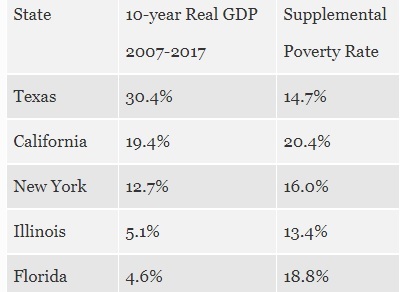 …When using Supplemental Poverty Measure, the states with the highest poverty as averaged from 2014 to 2016, are: California (20.4%); Florida (18.8%); Louisiana (18.4%), Arizona (17.8%) and Mississippi (16.9%). The national average Supplemental Poverty rate over the last three years reported was 14.7%. Texas’ poverty rate was at the national average. …Combining two key factors, economic growth from 2007 to 2017 and the Supplemental Poverty Measure from 2014 to 2016, provides a better look at a state’s economic wellbeing. 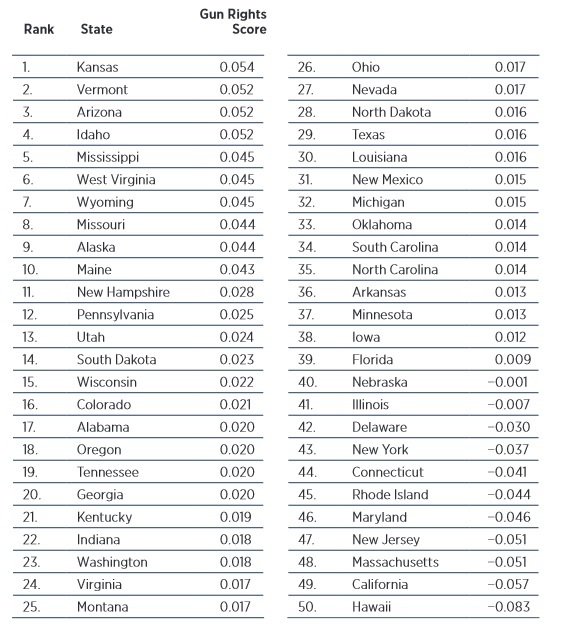 Here’s a table from his column, which looks at growth and poverty in the nation’s five-largest states. Texas wins for prosperity and California “wins” for poverty. 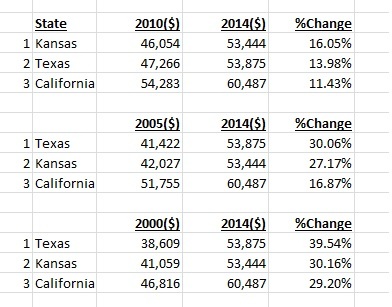 If you want more data comparing Texas and California, click here, here, and here. P.S. 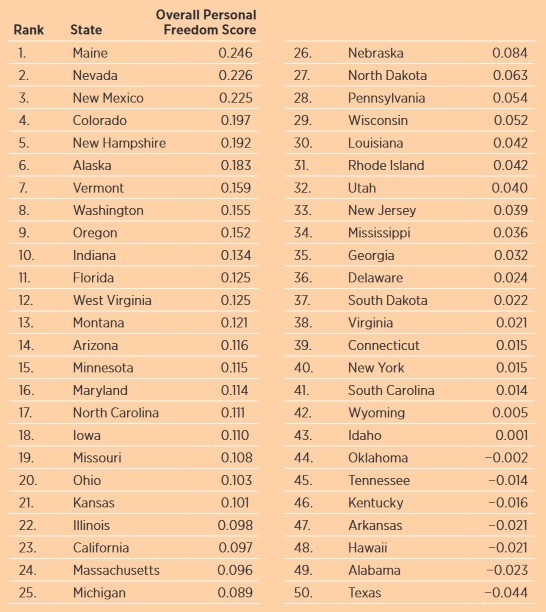 Texas gets a bad score and California gets a middle-of-the-road score when looking at personal freedom, so the Lone Star State is not a libertarian paradise. If you do the same thing for international comparisons, Denmark is the world’s most libertarian nation. P.P.S. Here’s my favorite California vs Texas joke. I’m glad the United States is now ranked #1 in the World Economic Forum’s Global Competitiveness Report, though I point out in this interview that Trump’s performance is mostly a net wash.
His sensible approach to tax and regulation is offset by his weak approach to spending and his problematic view of monetary policy. I’m embarrassed to admit that I forget to mention protectionism as another area where Trump is pushing in the wrong direction. But let’s not focus on Trump. Instead, let’s take a closer look at the new data from the World Economic Forum. And we’ll start with a look at the top 20. You’ll see some familiar jurisdictions, places that always get good grades, such as Singapore, Switzerland, and Hong Kong. But you’ll also notice that there are several European welfare states with very good scores. That’s because the GCR – unlike Economic Freedom of the World or the Index of Economic Freedom – does not rank nations based on economic policy. It’s more a measure of the business environment. But since good policy tends to create a good business environment, there is a connection. Nations such as Germany and the Netherlands, as well as Scandinavian countries, have big welfare states. But the damage of those policies is offset by a very laissez-faire approach to businesses. So the big companies that help put together the GCR understandably give those places good scores. By the way, it’s also worth mentioning that the 2018 edition uses a revised methodology. And based on this new approach, the United States retroactively gets the top score for 2017 as well. 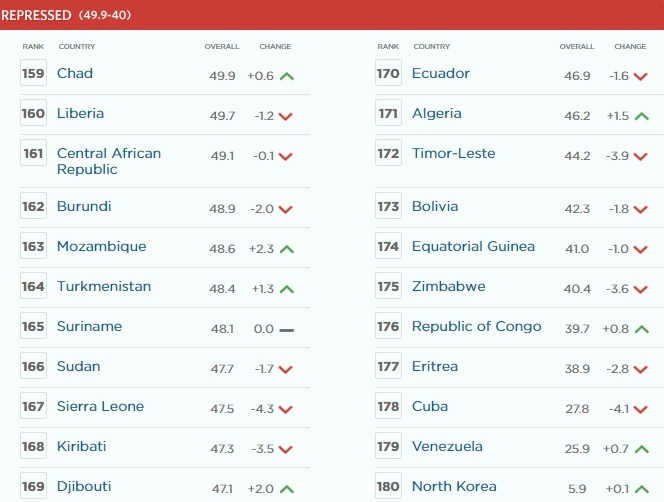 All that being said, does it matter if a nation is ranked higher rather than lower? Based on this strong relationship between competitiveness scores and economic output, the answer is yes. The bottom line is that there’s a very meaningful link between economic liberty and national prosperity. Now let’s take a closer look at the scores for the United States. As you can see, our top score is mostly due to our market efficiency and innovation environment. For what it’s worth, I don’t fully agree with the report’s methodology. But that’s mostly because I prefer to look at the degree of economic liberty rather than whether a nation is business friendly. There’s an overlap, of course, but it’s nonetheless important to distinguish between pro-market and pro-business. In any event, here are a couple of additional findings that caught my eye. Chile is easily the highest-ranked nation in Latin America, illustrating again the wisdom of pro-market reforms. The United States enjoys a top-10 overall score for infrastructure, including best-in-the-world rankings for road and airport connectivity. Something to keep in mind the next time politicians push for higher gas taxes because of a supposed infrastructure crisis. Venezuelans can be proud that they are not the worst nation in the world. That dubious honor goes to Chad. Though the communist paradises of Cuba and North Korea were not ranked.